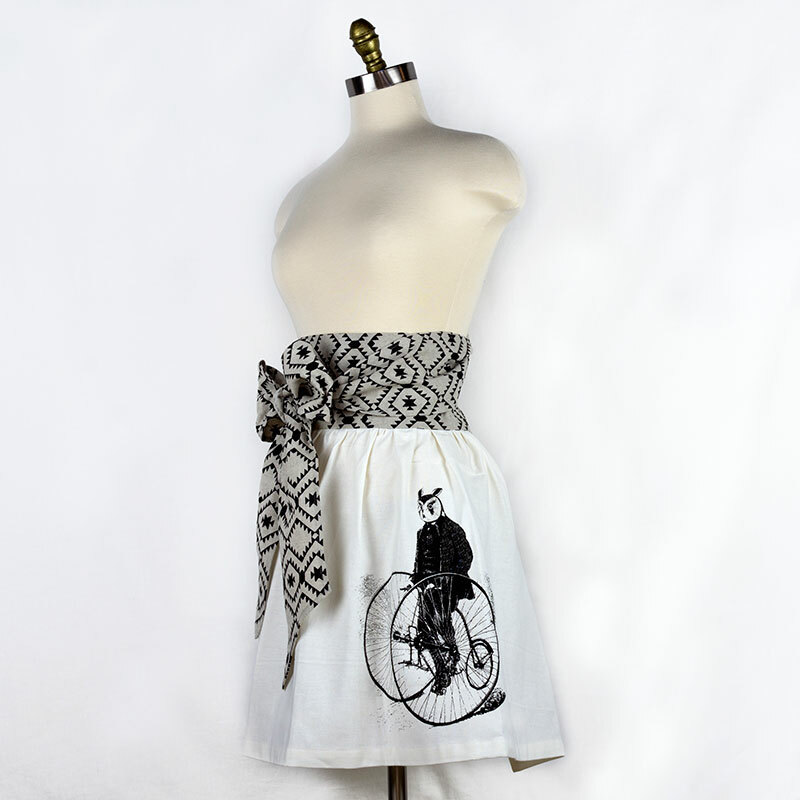 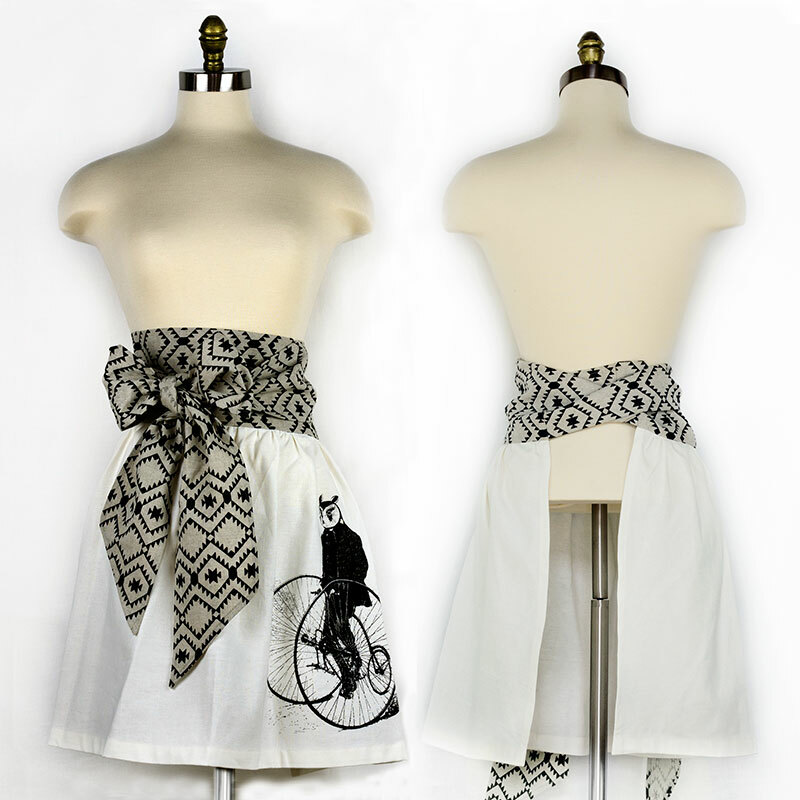 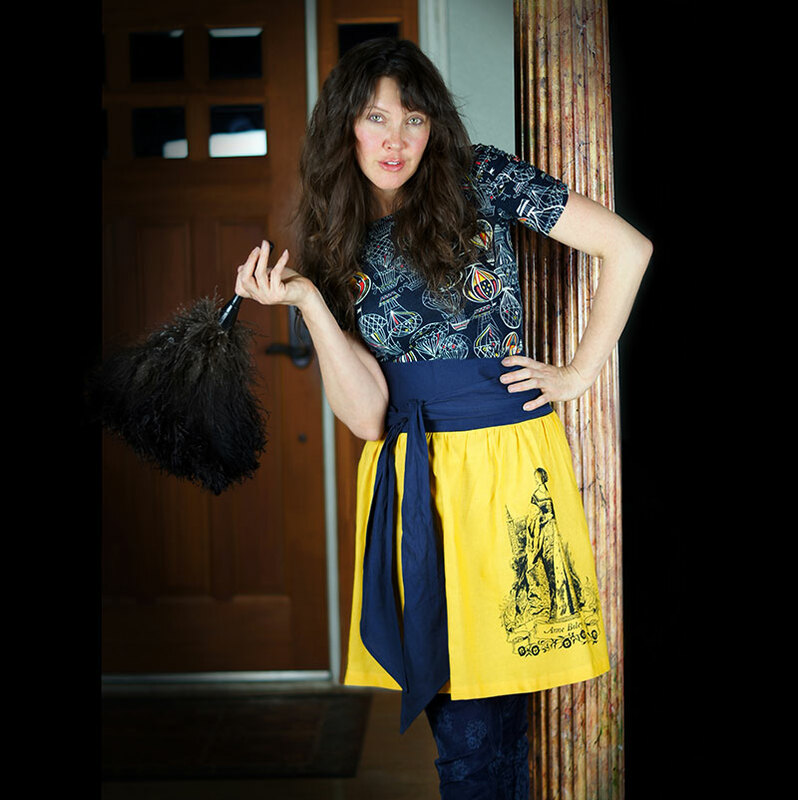 This pretty linen apron features a design of mine titled Gentleman Owl on a Bicycle and on the reverse side the quote "Bicycling is the nearest approximation I know to the flight of birds." ~Louis J. Halle. Design is printed in black on a cream colored linen apron. 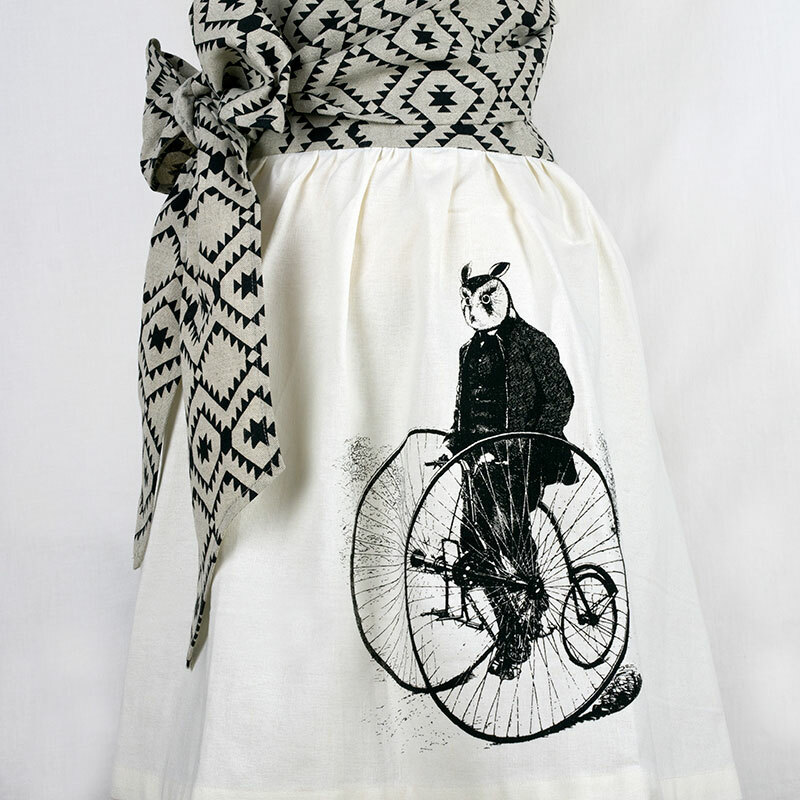 This owl on a bicycle inevitably brings a big smile to everyone's face who see's it.